Do you play well in the sandbox with the others? If so, we may have career opportunities that you are looking for! Our recruitment strategy requires that we choose the talent that fits well within our company culture. You must have a great work ethic, positive attitude, be accountable and must be able to work in a team. Our goal each and every day is to provide an atmosphere where we all have fun at work while working towards a common company vision. Of course, we must ensure that we are efficient with our time and we remain productive, but why not have fun and enjoy where you work at the same time? Why settle for a job when you can have a career opportunity with a continually growing organization? Give us a call and find out if you have what it takes to be a part of our team! 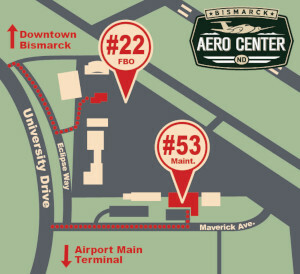 Bismarck Aero Center is also a proud supporter of the Find the Good Life in North Dakota. Check out all the great things to do and why North Dakota is a perfect place to raise a family. Installs, tests, troubleshoots, repairs, removes and replaces aircraft instrument and avionics components and/or systems installed in various aircraft airframes using hand tools, ground support equipment, test equipment, and technical documents in accordance with manufacturers specification and Federal Aviation Administration regulations. This position’s primary responsibility providing FBO customer service that exceeds customer and company expectations. This positions main responsibility is to actively manage flight instruction students at Bismarck Aero Center. Duties include complying with all government regulations, providing excellent customer service, and interfacing direct with customer and student requests. There may also be opportunities for pilot services work for pilots with appropriate rating and hours.